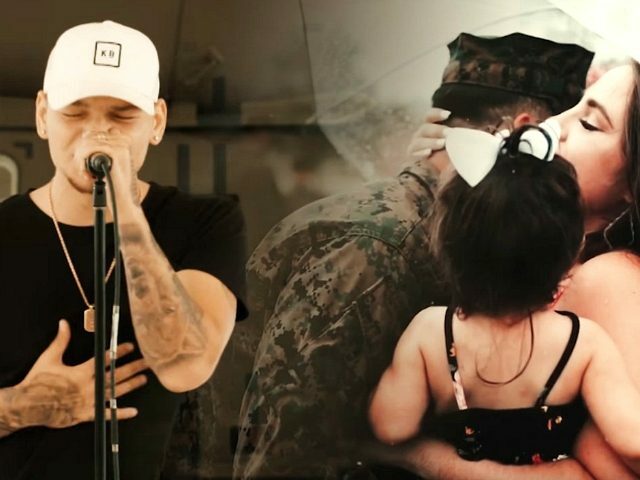 Country singer Kane Brown is again honoring our military with a new music video featuring emotional reunions of families welcoming home their returning soldiers. Brown has long-used his popular music to support our armed forces, but his latest music video features the tearful reunions mostly of members of the California National Guard. There won’t be a dry eye as the video plays showing tiny tots excited to see their daddies, wives, and husbands relieved to welcome their spouses home, and parents proudly greeting their brave children returning from overseas. Another segment of the video features the story of a Notre Dame basketball player Matt Farrell who was shocked and delighted when his soldier brother returned to meet him on the court during a game for a tearful reunion. The video for “Homesick” is the first from Brown’s upcoming album entitled, Experiment, which is due out in November.